It seems like just yesterday production started on Disney’s upcoming Jungle Cruise film with the teaser trailer we got. 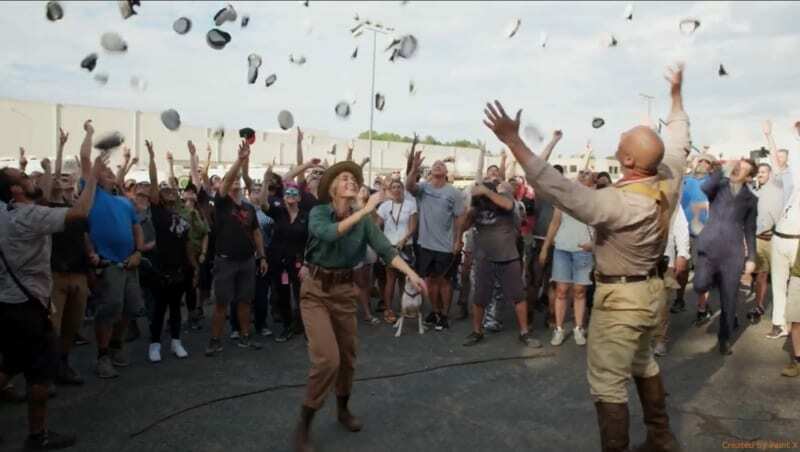 Now the Dwayne Johnson, Emily Blunt and the rest of the cast and crew made a video showing that filming is now finished for the Jungle Cruise! Just a month ago we also got to see a behind the scenes look at the set from the Jungle Cruise film, and it’s MASSIVE!! Jungle Cruise is directed by Jaume Collet-Serra stars Dwayne Johnson and Emily Blunt and is set to hit theaters October 11, 2019. Are you excited for Jungle Cruise? What would you like the story to be like? 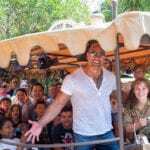 RUMOR: The Rock Helping with Worldwide Jungle Cruise Renovation in Disney Parks?